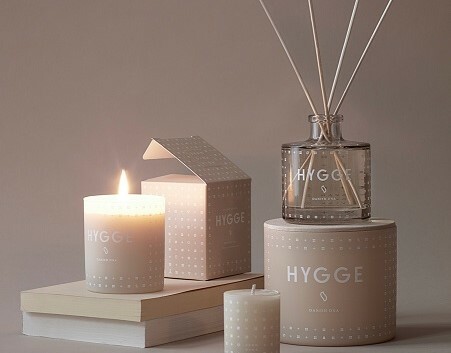 Signe Johansen: Bringing hygge to Harrogate! We’re unbelievably excited about presenting a special event with renowned food writer and cook Signe Johansen. It’s at Harrogate Theatre on 25th October, and we’d love you to join us! 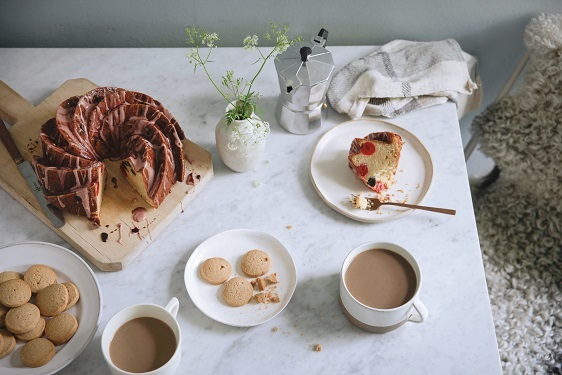 We’re not exaggerating when we say that Signe – or Sig, as she prefers to be called – is one of our Scandi baking idols. And with good reason: she’s written two amazing books on the art of Scandinavian baking and cooking. Her latest release, How to Hygge: The Secrets of Nordic Living, is out on 20th October and is all about the Scandinavian lifestyle. It features 50 recipes alongside lots of other tips on taking a more ‘hygge’ approach to life. We definitely like the sound of that! 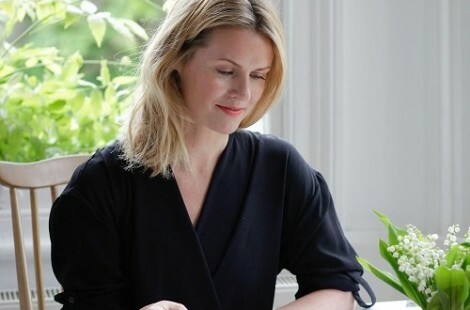 When we heard that Sig was touring the UK to launch her new book, we got in touch with her and asked if she’d like to come to Harrogate and hold an event with us. Imagine how thrilled we were when she said yes! So that’s how we’ve ended up presenting a special one-off Q&A and book signing event with Sig at Harrogate Theatre. 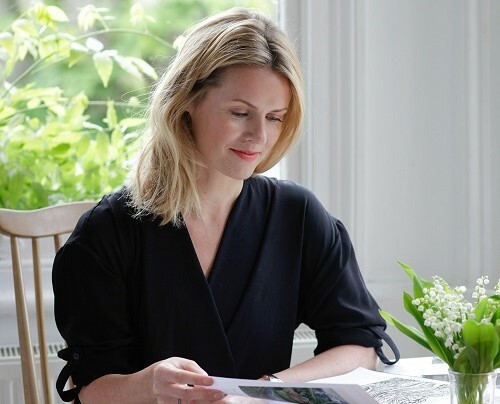 We’ll be serving some Scandi treats, interviewing Sig on stage about her book and asking her about everything from her Norwegian childhood and her love of Scandi food to her Nordic approach to life. Along with our sister restaurant Norse and supplier Hesper Farm Skyr, we’ll be providing Scandi food such as cinnamon buns, waffles and skolebrød. Entry will be on a pay-as-you-feel basis, with proceeds going to the Harrogate Theatre Trust. Booking is essential so we know how much space we need and how many to cater for, you can call the Theatre box office on 01423-502-116. Sig began her career in food after leaving university, training at the Leiths School of Food and Wine in London. She worked at several of the UK’s top restaurants before returning to university to complete a Masters in the anthropology of food. Her book Scandilicious: Secrets of Scandinavian Cooking was published in 2011, containing more than 80 recipes from traditional Scandi cuisine, from cinnamon chestnut bread to homemade gravadlax. This was followed by Scandilicious Baking in 2012 which, as the name suggests, included recipes for baked Scandi treats that were commonly served during Sig’s childhood in Norway. Sig has also contributed to 12 other food and restaurant books, as well as writing articles for national newspapers and magazines, and appearing on TV. 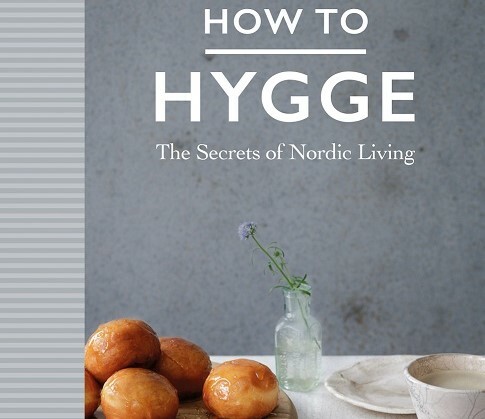 Her latest book, How To Hygge: The Secrets of Nordic Living is published later this month and explains more about the concept that’s become a bit of a buzz word this year. In exploring the culture of hygge, the book guides readers on how to adopt it in their life. It includes sections on the joy of fika, Scandi style in the home and food and drink, including 50 recipes. Hi Sig. We can’t wait to meet you for the event at Harrogate Theatre! Have you ever visited the town before? I’m so excited about coming to Harrogate! I’ve been to York, Leeds and the Dales but not Harrogate. I’m really looking forward to seeing what’s going on. Whenever I go to a new place, I like to explore. I’ve been following Baltzersen’s on social media for a while now and I love what they do so I can’t wait to meet the team. Everything they make always looks so delicious and they have such a positive attitude. I wish we had a Baltzersen’s in London! Our mission at Baltzersen’s is ‘to provide Scandi-inspired food to comfort and sustain’ – and our customers love it! Why do you think Scandinavian food has become so popular in the UK? I think it’s more a question of why hasn’t it happened sooner? Britain has a love affair with the flavours of the Mediterranean but in terms of the kind of food that is grown here, there’s a lot more in common with Scandinavia. It’s been interesting in the last two years to watch the rise of the new Nordic food movement. The Scandinavian attitude to food isn’t about class or aspirations; it’s a deep-rooted understanding of food and cooking from scratch, using what’s in season or preserving food for use in winter. A lot of chefs have returned to the traditions of pickling, curing and smoking. How did your love of food develop? Food has always been a really big part of my life. My Norwegian grandparents had a farm on the west coast of Norway so I grew up understanding where food comes from and the importance of the ecosystem and the seasons. In 1999 I moved to the UK and found that my food experience was not shared by my UK friends. I got the sense that their relationship with food was one of detachment. If, like me, you loved good food, you were considered a ‘foodie’. I used to get teased because I bought organic whole milk, but that’s a normal food where I grew up. What led to you following a career in food? After university I thought about going to law school, I went to the States and I considered doing a PhD. But none of it made me feel joyous. I wanted to do something that made me happy, and I realised that where I was happiest was in the kitchen. I describe myself as a cook, not a chef. I make really simple things. I’m constantly amazed how people try to overcomplicate food. I think people forget that all you need to do is keep it simple, source good ingredients and you can’t go wrong. It’s a very European philosophy. It’s also liberating; the idea of knowing that you can keep things simple, have faith and trust your instincts. And don’t just eat something because it’s on trend! I don’t like offal and I don’t feel I have to eat it, even though it’s fashionable at the moment. Food is not a badge of honour! Have the confidence to know what you like and know there are certain things you can do well. Scandinavian food is what I do best. I’m greedy so I like lots of different things! I like variety and textures. The more variety you have in your diet, the more interesting it is and the more nutrients you get. I’ve had friends who’ve cut out whole food groups from their diet. To me, that’s not understanding the fundamentals of nutrition. Even sugar, I think, is fine if you have small amounts of it. The idea that you’re supposed to bake a cake using sweet potato or beetroot: I think, just eat less cake! I’d say there are a few things that I always have in my kitchen: eggs (they’re my one standby food), butter, herbs, Swedish crispbread and fresh, seasonal vegetables. I love things that are sour, such as lemons, vinegar and pomegranate molasses, because they can really bring something to a dish. And dark chocolate! 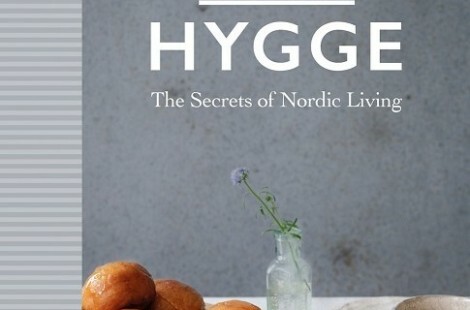 Tell us about your new book, ‘Hygge: The Secrets of Nordic Living’. It’s essentially a lifestyle book focused around the notion of hygge. The whole idea was to give some narrative and context to the Scandinavian way of living, and also to give advice on how we can all live like that. There’s lots of good data showing that Scandinavia has exceptional standards of living and in this book I’m trying to analyse why. I studied anthropology at university so the idea behind the book is to understand everything in context. It’s too simplistic to look at one element of Nordic living; everything is interlinked. There are 50 recipes and a chapter on cocktails so there’s definitely a food and drink element to the book. It’s nice to have recipes but I’ve already written two food books and contributed to 12 others and I felt like I was getting slightly confined by it. The food and drink in this book is in keeping with the hygge philosophy of keeping things simple and paring everything back. There are also chapters on design, interiors and fashion. Particularly as we go into winter, all that Nordic aesthetic looks really enticing. 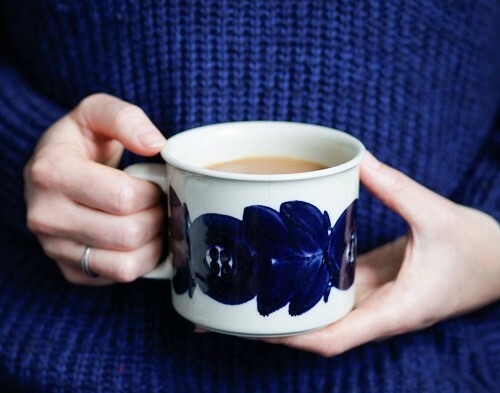 It’s not brutal or minimalist, it’s much softer, warmer and cosier – and it makes you feel happier. The book also has elements relating to kinship and community, as well as nature and the outdoors. Everything starts with nature. The hygge mindset is based on the strategies we developed to get us through the long, dark winters. 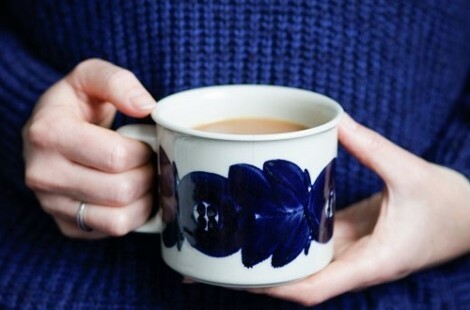 So, what are the secrets of a hygge lifestyle? 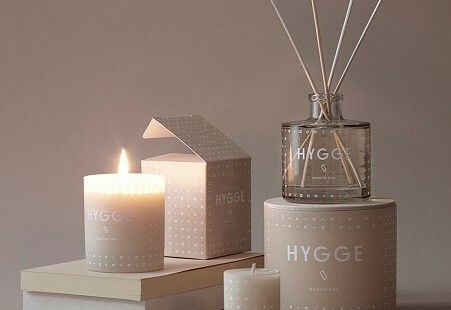 Hygge is a response to the dark and cold Scandinavian winters. It affects what we wear and the way we eat. There are several elements but it’s about getting your life back to basics, stepping back and seeing what’s important. Where I come from, people don’t care so much about material wealth and status symbols. Most of the Nordic countries were very poor for a very long time and that has shaped our perspective on life. Yes, it’s nice to have nice things but we have a sense of making the most of our time on this planet. The hygge lifestyle is very democratic. You don’t have to radically overhaul your life. It’s just about not overcomplicating things and taking time out to enjoy the moments in your life. It enriches us, it’s nourishing. Signe Johansen will be appearing at Harrogate Theatre on Tuesday, October 25. The event runs from 5pm to 8pm and tickets will be sold on a ‘pay what you feel’ basis. For more information or to book call the box office on 01423 502 116.